I get the distinct impression that Bowmore is under-performing somehow. 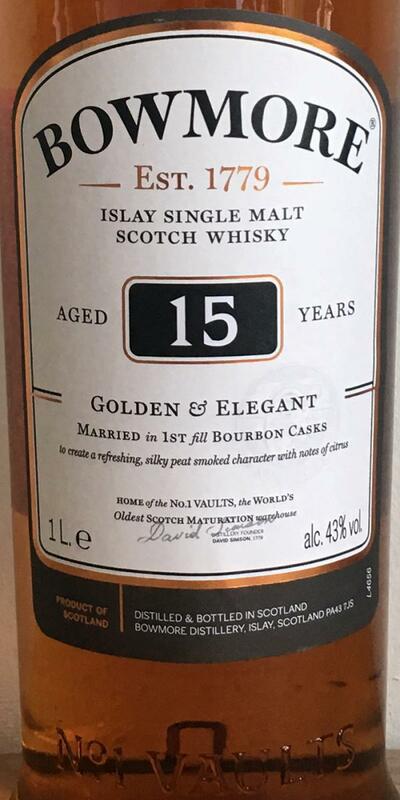 You would think a 15 year old peaty Islay whisky would be a sure fire golden ticket, but somehow it just isn't and doesn't live up to expectations. There is something just a bit too rummy and sweet on the nose and in the palate which puts me off and combined with the wood becomes a little too industrial in its approach. It seems to lack finesse for me, expecting the peat and sherry to do all the talking but they're shouting at each other and you're caught in the middle. I preferred the old Bowmore 10 with its coastal seaside flavours to this heavy handed attempt to be an Islay big dog. Partly a bit alcoholic, otherwise okay, but nothing special. At the beginning, fresh smoke and a hint of a coniferous forest. After some time sweeter wood tones are added. In between, a cooling alcoholic touch seems. Something alcoholic. Slightly maritime, slightly smoke. In the finish, the smoke remains, but not too intense, rather, the sweet influence of the barrel comes through again. That Bowmore specific peaty nose; sweet & sour, iodine, rubber, then the bourbon cask influences with vanilla and some green fruit, grass, slightly cardboardy. Short to medium: Spices and the bitter herbs continue, drying to lemon infused black tea and ash lingering. Tasty, pleasant, spicy lute, the style and character of the distillery is traced. Balance sheet - 21. Light citrus, caramel, sage, (with water) sweeter, smoked meat, smoked fish. Wood grapefruit, light smoke, earthy, (with water) dried apricot, pear, olives, unripe peach. Greens, tannins, aloe vera, ash. It's the typical nose of the Bowmore, with peat, bousin and vegetal notes, but it's more subtle yet, there is stone, earth and white fruit, I think of mirabelle. Iodine spring more strongly too, it's very pleasant. It is the scent of a forest after the rain, but a forest close to the sea. On the palate, the caramel mixes with peat, we smell the bourbon, an ounce of lemon, but also the juicy pear , it is refreshing. The finish is salty and rather long, the white fruits stand out. 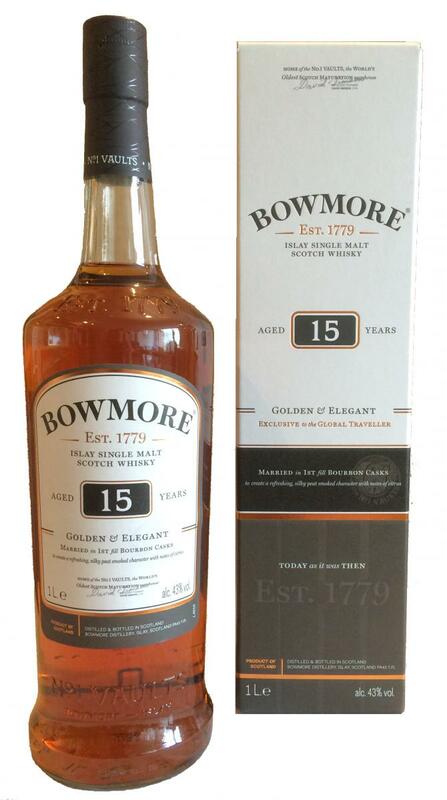 We really discover all the richness of Bowmore with this format. Light smoke, salty, sweet bourbon, citrus, some nice oak, malty. Nose and taste is really nice, the finish could be longer lasting. But this is still a nice and easy going Malt.